A LEADING technology firm has brought its European headquarters to Malvern. Auraya Systems has chosen to be situated within the Malvern Hills Science Park alongside defence specialists Qinetiq. The firm helps to solve a very simple problem in an innovative way, giving people the choice to use their voice as passwords. Auraya’s technology can analyse 25 million voiceprint comparisons every minute. All this results in an extremely secure and safe way to identify users, solving a growing problem for businesses both large and small. Clive Summerfield, chief technological officer of Auraya Systems, said: “Worcestershire stood out from the start as a leading location and we are delighted to be here. “We are at the heart of a tech cluster, with great connectivity, not to mention a beautiful location. 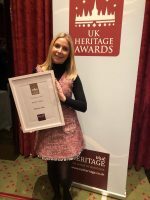 “We intend to use our proximity to industry here in the Midlands to grow our brand, profile and business with the brightest and best companies in the world. This success builds on Worcestershire’s fast growing reputation as a magnet for leading tech firms. The county also recently won a 5G industry testbed pilot, placing it at the cutting edge of a technology revolution. At a time of increasing global competition for trade and investment, Worcestershire is acting as a catalyst for technological innovation in the Midlands and nationally. Stuart Emmerson, Invest in Worcestershire manager, added: “Auraya Systems is a world class tech firm that collaborates with some of the biggest brands in business such as Fujitsu, Vodafone, IBM, Oracle, CGI and Connect Managed Services. 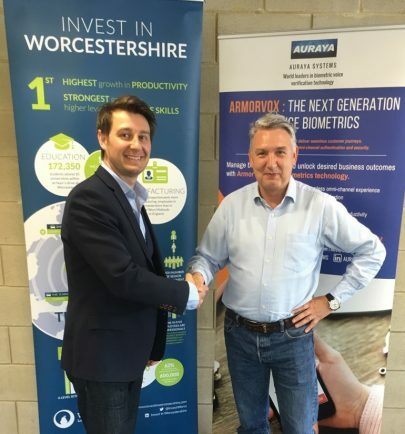 “We are delighted to support Auraya Systems’ entry to Worcestershire, and as the site of their European Headquarters. The company’s current headquarters is based in Australia, however, with significant trade conducted in Europe and America, the UK was identified as an ideal location. Worcestershire came out on top for being at the cutting edge of technology, with a leading cluster of tech firms and supportive business environment.